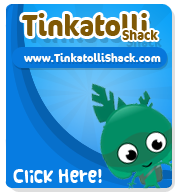 Tinkatolli Tips - Tinkatolli News & Tinkatolli Guides 2013: TinkaPad of the Week – Jain! This weeks TinkaPad of the Week winner is Jain! Excellent! jain has just been awarded the Tinka Pad of the Week! Check out your rewards – the Tinka Pad Badge and 1000 Seeds! See ALL the winning Tinka Pads!